The Israeli Central Court in Occupied Jerusalem sentenced two Palestinian children to 11 years in jail, a human rights group reported Monday. Lawyer Mufeed Al-Haj, from the Palestinian Prisoners Society (PPS), said 15-year-old Mondher Khalil Abu Mayaleh and 16-year-old Mohamed Taha were both sentenced to an eleven-year prison-term. The Israeli occupation court also stipulated that both minors shell out a bail of 50,000 shekels. The two minors have been held in custody since January 30, 2016. Earlier, on the same day, an Israeli court sentenced the Palestinian child Ahmad Manasra to 12 years in prison. “Instead of apologizing to Manasra and his friends, along with the world’s children, for its crimes, Israel continues to perpetrate other crimes,” said Qaddura. “This is just part of the tragedy endured by Palestinian children in the occupied territories,” he added. Qaddura urged the United Nations Secretary-General, the Human Rights Council, and the UNICEF to opt for serious and practical measures in response to the Israeli crimes against Palestinian children. A number of Palestinian children from Occupied Jerusalem were sentenced to actual imprisonment for terms of up to 12 years. The health conditions of hunger-striking prisoners Anas Shadeed and Ahmed Abu Fara have seriously declined, according to an informed source on Sunday. 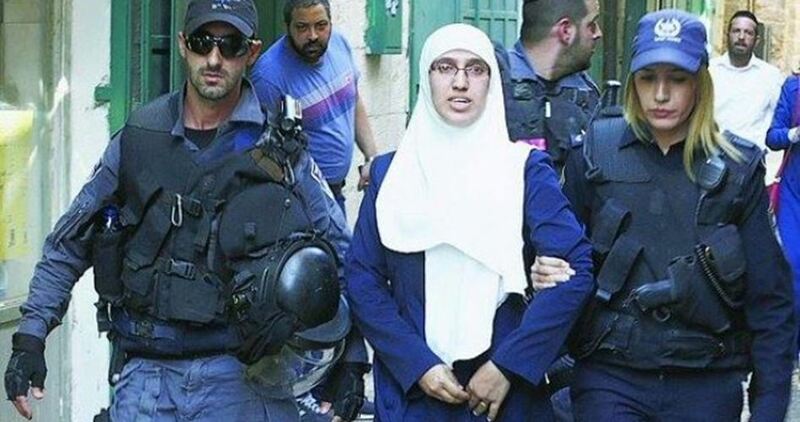 Lawyer of the prisoners Ahlam Haddad told the Palestinian Information Center (PIC) that she had visited the hunger strikers in Assaf Harofeh hospital near Tel Aviv and was briefed on their health conditions. According to Haddad, Abu Fara went into a coma for four days due to acute heart disorders and started to vomit blood. She warned that the hunger striker has become in a very serious condition and could suffer paralysis in the lower part of his body according to his doctors. As for Shadeed, the lawyer also said that his health considerably declined and his body became extremely frail, calling on human rights groups to pressure the Israeli authorities to release both of the hunger strikers. Shadeed has been on hunger strike since September 25 and Abu Fara since September 23. They are protesting their detention with no guilt. In another development, prisoners Samer al-Issawi and Munder Senawber suspended their hunger strike following Israeli pledges to respond to their demands. According to the Palestinian commission of detainees’ and ex-detainees’ affairs, Issawi and Senawber started an open-ended hunger strike on October 25, 2016 to pressure their jailers to respond to a set of demands in favor of all Palestinian prisoners. 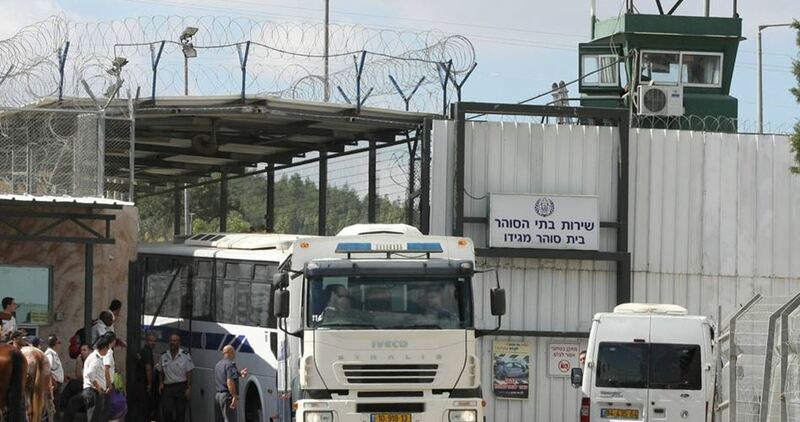 They suspended their hunger strike after the Israeli prison authority pledged to transfer all female prisoners from Damon jail to Hasharon prison as soon as possible. 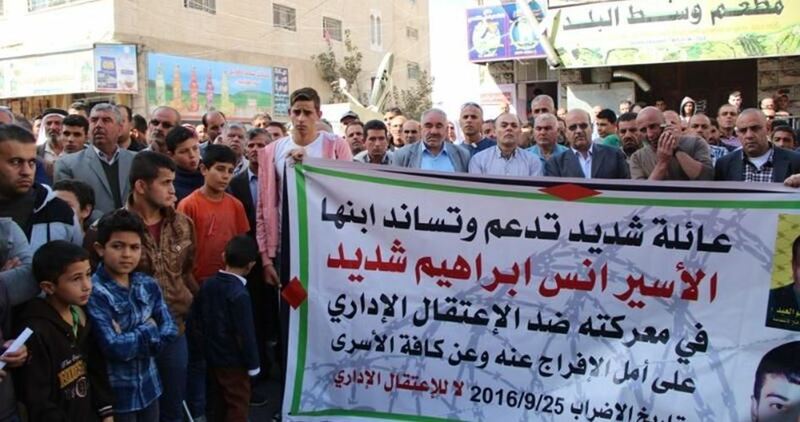 The prisoners made this demand because Hasharon is not far from Israeli military courts. The jailers also promised to transfer the female prisoners from and to courts directly without taking them to a transit prison. Additionally, doctors will be provided in jails upon requests made by sick prisoners, according to the Israeli deal with the hunger strikers. The hunger strikers also demanded the prison authority not to ban any family from visiting their relatives based on security claims, and the latter said it would study their request in this regard. The Israeli Ofer court passed different sentences against three Palestinian prisoners on Monday, the Palestinian Prisoners Society (PPS) revealed. The court sentenced the prisoner Qusay Muswada for four years imprisonment plus a fine of 8,000 shekels. The two prisoners Sami Jawda and Mohamed Qawasmi were also sentenced for 30 months with a fine of 4,000 shekels for each one of them. 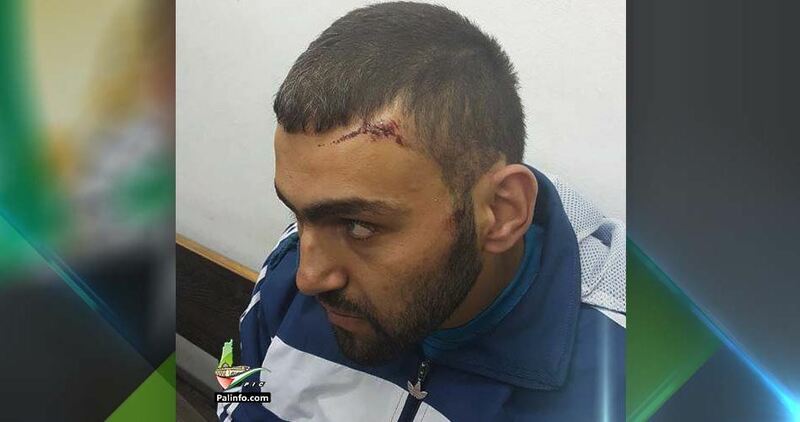 A Jerusalemite ex-prisoner was arrested Sunday evening after being brutally attacked in his house, while another youngster was detained in al-Khalil. The PIC reporter quoted local sources as saying that Israeli police forces violently stormed a local house in the Old City in occupied Jerusalem. The house’s owner, Mahmoud Abdulatif, was brutally attacked during the raid before being arrested along with his mother. Abdulatif suffered different injuries all over his body due to the attack, the sources added. His arrest was then extended till next Tuesday. Meanwhile, Israeli forces arrested a young man near Sa'ir town, northeast of al-Khalil. Eyewitnesses affirmed that the young man was arrested after being stopped at a make-shift checkpoint near the town. He was then taken to an unknown detention center. 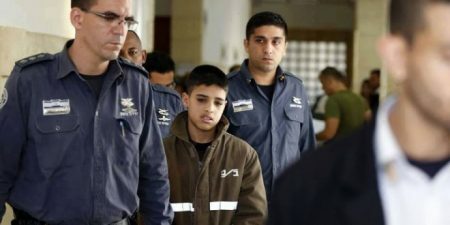 An Israeli court in Jerusalem, on Monday, sentenced 14-year-old Ahmad Manasra to 12 years of prison, under conviction of attempted stabbing. Ahmad, on 12 October, 2015, was shot and tortured on camera by an Israeli settler, while his cousin, Hassan Manasra, was killed on the spot, for allegedly stabbing settlers in Pisgat Ze’ev settlement, Jerusalem. 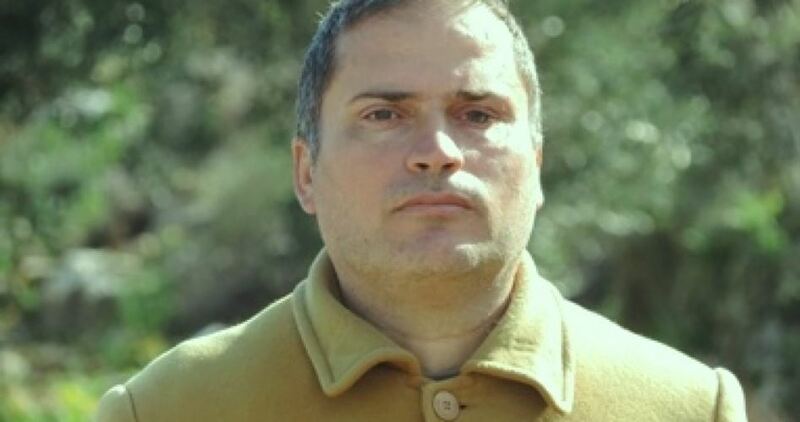 Ahmad’s lawyer, Tareq Barghouth, said that the court also imposed a financial compensation of 180,000 shekels, according to the PNN. An international uproar was caused around the case, with regard to the torture and videos later, as the boy was shown being abused by Israeli investigators. Ahmad stayed in the hospital before he was taken to prison. See IMEMC article 05/12/16 for more info and video link. The Palestinian Prisoners Society (PPS) has reported that Israeli soldiers have kidnapped, overnight and earlier Monday, seventeen Palestinians, including children, in different parts of the occupied West Bank. The PPS said the soldiers invaded several towns in the Ramallah and al-Bireh District, searched dozens of homes and kidnapped seven Palestinians. The kidnapped have been identified as Ali Mahmoud Shawabka, Adel Qassem Khaseeb, 18, Ibrahim Salama Khaseeb, Ahmad Taiseer Khaseeb, Rafat Hussein Asfour, Mohammad Sobhi Hamed, 17, and Mohammad Abdullah Saleh, 20. In occupied Jerusalem, the soldiers searched many homes, and kidnapped five Palestinians, identified as Mohammad Abdul-Ra’ouf Mahmoud, Mohammad Ayman Obeid, Mahmoud Awad Dirbas, Ayyoub Na’im Hamdan and Hasan Zomorrod, 55. In addition, the Bethlehem office of the PPS, said the soldiers also invaded homes in Husan town, west of the city, and kidnapped four Palestinians, identified as Mohammad Nasser Sabateen, 25, Ala’ Mohammad Shousha, 15, his brother Islam, 14, and Obeida Adel Sha’er, 16. The soldiers also invaded Bal’a town, in the northern West Bank district of Tulkarem, and kidnapped Raed Ghazi al-Hajj, 18. On Monday at dawn, several Israeli military vehicles invaded Ramallah city and many nearby villages, and clashed with local youngsters; and surrounded a hotel, invaded a coffee shop, and illegally confiscated cash. Furthermore, several military vehicles invaded an advertisement company, in the southern West Bank city of Hebron, violently searched it, causing excessive damage, before confiscating its computers, and other equipment. Also in Hebron, the soldiers invaded the home of detain Dia’ Jabr at-Teety, in the al-‘Arroub refugee camp, and summoned his wife for interrogation at the Etzion military base and security center. The soldiers also invaded, and ransacked, a home in Hebron and summoned a child, identified as Saeb Abu Najma Tamimi, 15, for interrogation in Etzion. 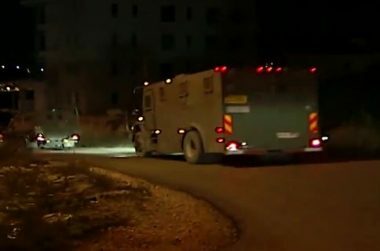 The Palestinian Prisoners Society (PPS) said the soldiers invaded, on Monday at dawn, several areas in the West Bank districts of Tulkarem, Jerusalem and Bethlehem, searched many homes, and kidnapped six Palestinians, including two underage siblings. The soldiers Invaded Bal’a town, east of the northern West Bank city of Tulkarem, and kidnapped Ra’ed Ghazi al-Hajj, 18, after violently searching his family’s home. 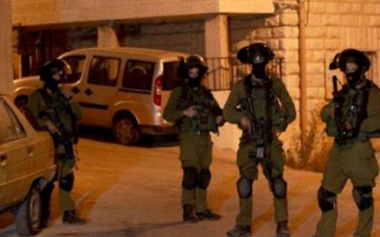 The Bethlehem office of the PPS said several army vehicles invaded the village of Husan, west of the city, searched many homes and kidnapped three Palestinians, including two children. It stated that the kidnapped Palestinians have been identified as Mohammad Nasser Sabateen, 25, Ala’ Mohammad Shousha, 15, and his brother Islamic, 14. 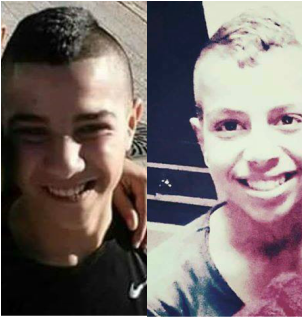 In occupied Jerusalem, the soldiers invaded the al-‘Eesawiyya town, and kidnapped two children, identified as Mohammad Abdul-Rauf Mahmoud and Mohammad Ayman ‘Obeid. The soldiers conducted extensive searches of homes, causing property damage, and interrogated many Palestinians while examining their ID cards. Also at dawn, several Israeli military vehicles invaded Ramallah city in central West Bank, and many nearby villages, leading to clashes between the invading forces and local youngsters. The soldiers surrounded a hotel, invaded a coffee shop, and illegally confiscated cash. 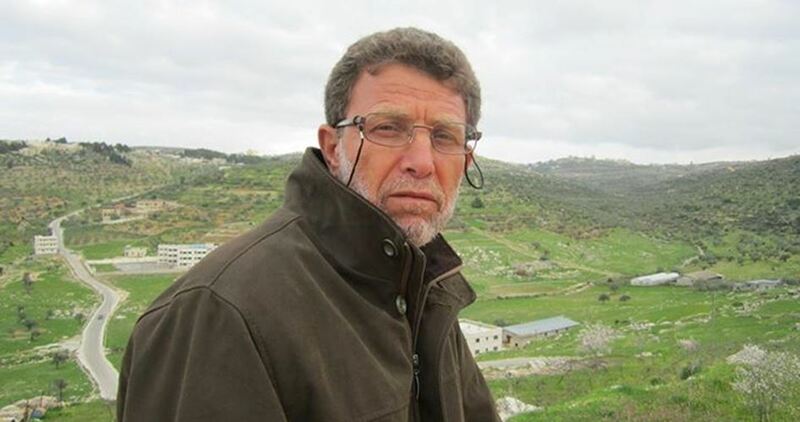 The Israeli occupation authority (IOA) on Sunday refused to release long-serving prisoner Nael al-Barghouthi after he ended his prison term. Iman Nafie, the prisoner’s wife, said the Israeli prosecution office had submitted an objection to his release, which was scheduled for November 6. She added that lawyer Mirav Khoury told her over the phone about this new development regarding her husband’s case. 59-year-old Barghouthi, who is known as the dean of the prisoners, was one of those prisoners who obtained their freedom in 2011 as part of the swap deal between the Palestinian resistance in Gaza and Israel before he was rearrested again in June 2014. He is considered the longest-serving Palestinian prisoner in Israeli jails, where he has spent a total of 36 years.